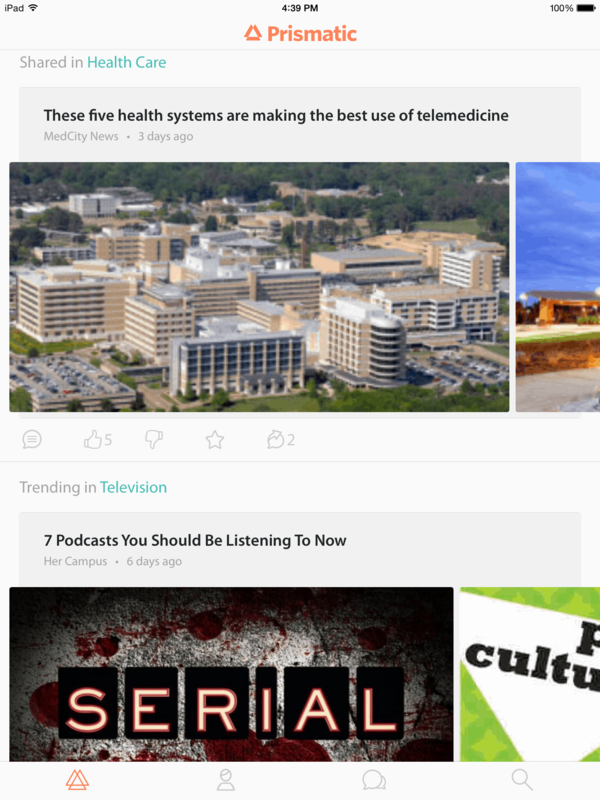 Part StumbleUpon and part Flipboard, for the past several years Prismatic has been developing a social news reader for iOS, Android, and the web. And now it is said to be in the sights of Microsoft. TechCrunch reports that Prismatic is currently talking to a number of companies, including MS and Apple, about a possible acquisition. No party will confirm the story, but sources say MS is offering $30 million for the company. Prismatic is an unusual choice. The company suggests content to users based on their interests and based on the articles read by their social contacts. In addition, Prismatic also lets users promote, comment on, and share an article online. Overshadowed by Flipboard, Prismatic reportedly hasn't managed to build a wide userbase. Its Android app only has between 5,000 and 10,000 installs in Google play, and according to App Annie its iPhone app never managed to achieve a high rank in either the social networking or news categories in iTunes. And after having used it, I can see why. Frankly, it's an underwhelming Flipboard knockoff. The app has a poor layout, a poor related content feature, and doesn't seem to want to update the stories it is suggesting after I decide I am no longer interested in a topic. Where Flipboard for the web has me excited, Prismatic leaves me underwhelmed. With an uncertain financial future and a lack of traction among users, now would be a good time to sell out and let a bigger company adapt Prismatic's tech. In the case of MS, that would probably end up being something like a Google Newstand or Flipboard competitor.